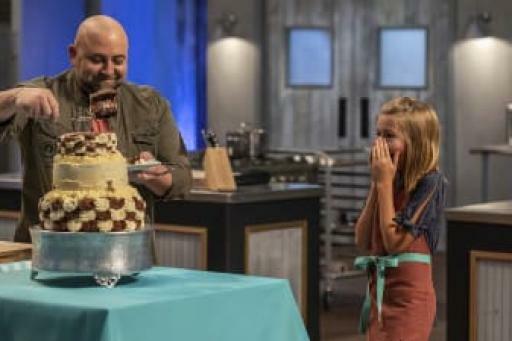 Valerie and Duff host the ultimate bake sale for the finale; they challenge the remaining three bakers to create cakes using bake sale items like toffee or rice cereal treats with a bake sale theme. 23 January 2017 Season 3, Episode 4: Color Me Wow! Kids Baking Championship is available to watch on Food Network. You can also stream, buy, rent, download full episodes of Kids Baking Championship on Amazon, Hulu, Apple iTunes, VUDU, HBO, Google Play.